Happy Halloween from all of us at nomnomcat! I don’t like how messy pumpkin carving can get, so ever since I was a kid, my mom would buy little mini pumpkins for me to paint. 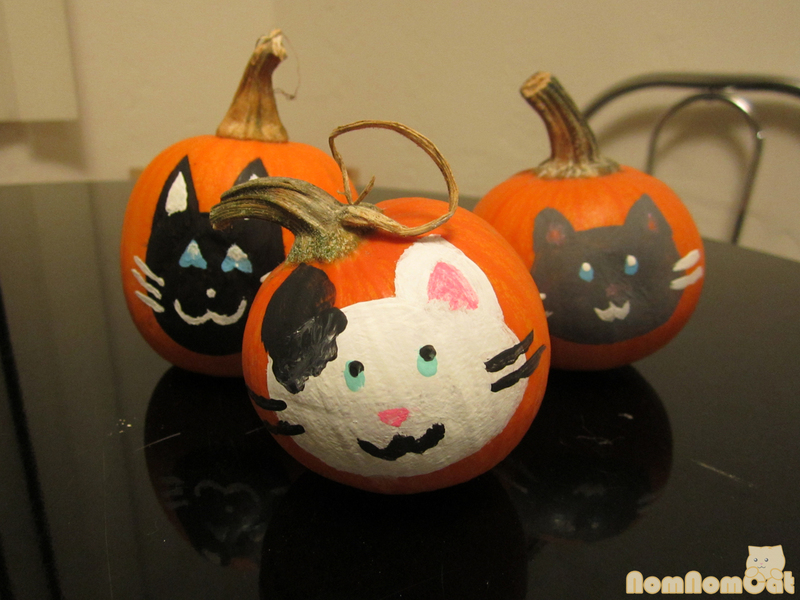 This year, Martin and I picked up a few little pumpkins from the McGrath Street Pumpkin Patch on our roadtrip a few weeks ago and painted ourselves as nomcats. We hope you all have a safe and happy Halloween!